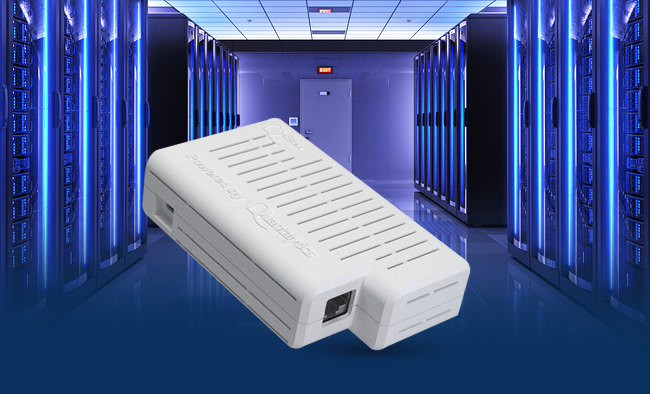 The Q-Log® is an extremely small form factor, low-power-consumption server providing full log collection and automated visual analysis for all devices and services on a network. It works with all SNMP-available logs. The Q-Log uses the ELK Stack (Elasticsearch, Logstash, and Kibana) to aggregate and analyze logs, as well as provide alerts. Logstash aggregates and normalizes all log data, using over 160 different connectors and transformation tools. Elasticsearch provides near real-time search and analysis. Kibana is the visualization and navigation tool for log analysis. This ultra compact design allows exceptionally flexible and creative deployment options as well as significant electricity and space savings. We encourage you to download additional product details. Logstash is the leading open source, enterprise-class, log aggregation and log data normalization tool. Logstash has more than 160 different log connectors and data transformation tools so that logs from all kinds of hardware and services can be aggregated for subsequent unified analysis. Elasticsearch® is the leading open source, enterprise-class, RESTful search and analysis tool. Elasticsearch makes it possible to run inquiries against the logs normalized and aggregated by Logstash. It uses standard RESTful APIs as well as JSON. There are also clients in other languages such as Java available. Kirbana® is the leading open source, enterprise-class, log data visualization package, opening up log analysis to non-experts. Kibana provides graphical analysis, which opens up log analysis to non-experts in the field of log analysis. Kibana includes the ability to do geo-analysis of log data. Webmin is used for network appliance housekeeping and network configuration. ModSecurity® (ModSec) is the leading open source Apache web server attack protection package. ModSec is used to harden the Q-ConPot’s built-in Apache web server and prevent conceivable attacks. THP fools attackers by making it appear that the attack is working, while meanwhile logging the attack info. THP wastes an attacker’s time, and creates an opportunity to detect the network intrusion by offering to the attacker what appears to be thousands of services. ClamAV® leading open source anti-virus package. HA Proxy is the leading open source package for automatic failover and load balancing. Up to 32 Q-IDS appliances may be linked for automatic failover or load balancing for coverage of extremely large networks. Administration is done through a web gui. No fan or any moving parts. Must be installed in a well-ventilated space. The Q-Log has both 1000 mbps (gigabit) NIC and 802.11 b/g/n WiFi. The Q-Log network appliance is also available as a Virtual Machine (VM). The Q-Log is completely administered through a Web GUI. All package usage is via Web interfaces, thereby opening up sophisticated intrusion detection, network forensic analysis, and network monitoring to even novice network administrators. No Command Line Interface (CLI) or Linux skill is required. Using the provided Webmin module, two-factor authentication can be added using Google Authenticator or Authy, a commercial service with its own app. Google Authenticator runs on Android, IOS, and Blackberry devices, and uses the standard TOTP protocol. Notifications are provided by e-mail using SendMail, which is configured with a module in Webmin, and syslog entries. The Q-Log can be integrated with Nagios® in the Q-Log as another notification route. SMS notification is available as an option. The Q-Log network appliance can also be integrated with the Q-Log® network appliance or any other Syslog or SIEM solution. Q-Log® and all registered trademarks above are property of their respective owner(s). Subscribe to get news updates. Copyright © 2013 - 2019 Quantalytics, Inc. All rights reserved.